Haunted Magazine: I'M A CELEBRITY GET ME INTO A PARANORMAL CELEBRITY TV SHOW AND WATCH ME SCREAM LIKE A BABY!!! WOODCHESTER MANSION I DO BELIEVE? 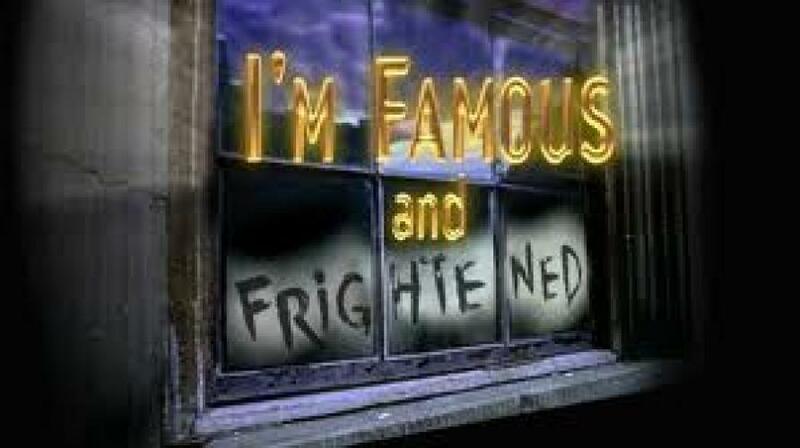 Two different style shows, two different formats BUT both joined at the spooky hip by that word CELEBRITY. One is live, the other one isn't, one is recorded and shown over a series of weeks, the other one isn't. those creative minds at TV channels think "let's infuse the world of the celebrity with the world of the paranormal, YES, it's Marmite TV but love it or hate it those stupid simple non-celebrity types will moan about it on social media so much, that we can say that OUR show is trending"
Now, you probably won't be shocked to learn that some people who live and breathe the paranormal world don't care for paranormal TV shows as they're not a true reflection of what goes on on a paranormal ghost hunt, saying it's mimicry and falseness personified whilst some people who live and breathe the paranormal world will love it and embrace it for what it is, that is the beauty of the paranormal, it has more divides than there are Starbucks in Nottinghamshire (FACT #2). 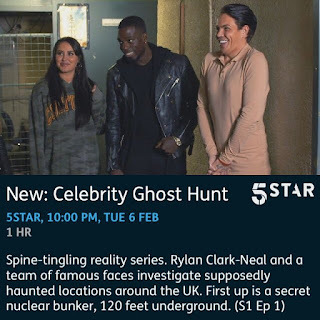 Whatever happens in these shows, love them or hate them, they're embedded into the programme schedules, probably in print in Radio Times now and embedded into the UK paranormal TV footprint for wherever there's a paranormal TV show idea coming from behind closed doors in the UK, you can virtually guarantee there'll be a celebrity close by preparing to be scared silly. We are urging everyone to get behind these two shows (wait for it, wait for it) AND THEN you can make your decision, do you push them off a haunted cliff into an unmarked grave never to be seen again or do you embrace them as paranormal entertainment and welcome them into your life, the choice is yours, the decision is yours, either way Marmite have missed a trick by not sponsoring one or both of these shows. It goes without saying that whether you are a fan or not, and whether you like it or not Celebrity infused Paranormal TV is here to stay. 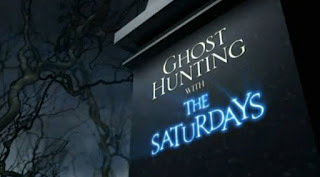 "Sadly Peter Kay is not around at the moment to make I'M STRICTLY A CELEBRITY GHOST HUNTER, GET ME DANCING ON THE ICE AND I'LL TAKE YOU AND YOUR BIG BROTHER INTO THE JUNGLE, it is coming I tell you, it is coming"
Celebrity Ghost Hunt starts on Tuesday February the 6th and runs for 6 episodes throughout February and into March and is hosted by Rylan Clark-Neal and features paranormal TV newcomer Ashley Buckenham and psychic Alex Gibbs, who has swapped channels after being on Celebrity Haunted Hotel back in 2016. Each week (and I quote) a team of famous faces investigate supposedly haunted locations around the UK. First up is a secret nuclear bunker, 120 feet underground. Celebrity Haunted Mansion starts on Wednesday February the 21st and runs for 5 nights consecutively and is hosted by Christine Lampard and Matt Richardson. 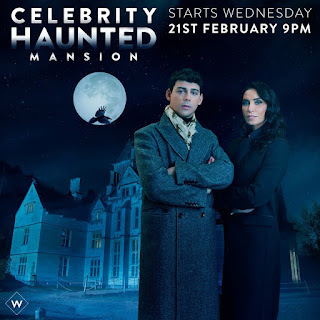 For five nights, two paranormal "experts", one being Barri Ghai, who took part in Celebrity Haunted Hotel back in 2016 and (rumoured to be, if my spooky spider senses are on the paranormal ball) Chris Howley, who took part in the "other" show Celebrity Ghost Hunt Live back in 2017 will each lead a team of celebrities as they face a variety of spooktacular challenges in a truly terrifying haunted gothic mansion. Each night, there will be a climactic live ghost hunt testing bravery and investigation skills to the limit - where two of our stars will have to give up the ghost... and leave the show. But who will survive until the final night - to become the champion celebrity ghost hunter...? Katie Price and Coronation Street's Simon Gregson (who is obsessed with the paranormal) are two who have been signed up to take part. Matt Richardson will host sister show High Spirits, which will air at 7pm every night on W. This special show will give viewers a chance to catch-up on the previous night's creepy occurrences and set the scene for the chilling challenges that will be set in that night's main show. Ten celebrities will face their fears in Celebrity Haunted Mansion. 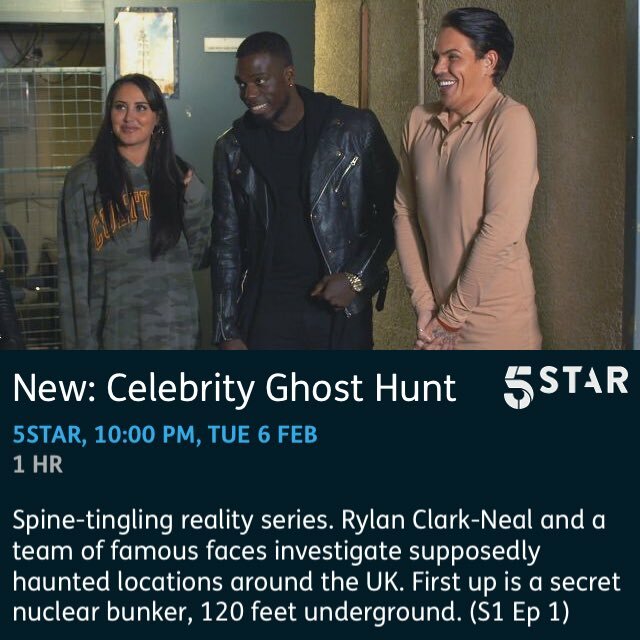 Who will win the ratings war, 5Star gets more viewers on a weekly basis but W has the backing of the UKTV network and will probably be able to draw more celebrities that are well known to the public.. let the paranormal battle commence..